Lomong’s book was one of the Christmas presents I gave my husband, and I read it right after he did, knowing that I needed to keep the kleenex nearby. I was still unprepared for how the book would affect me emotionally. I was moved by Lomong’s tenacity, his unflagging faith in God and the hard work ethic that has brought him to this point in his life where he can capture the essence of the American Dream. 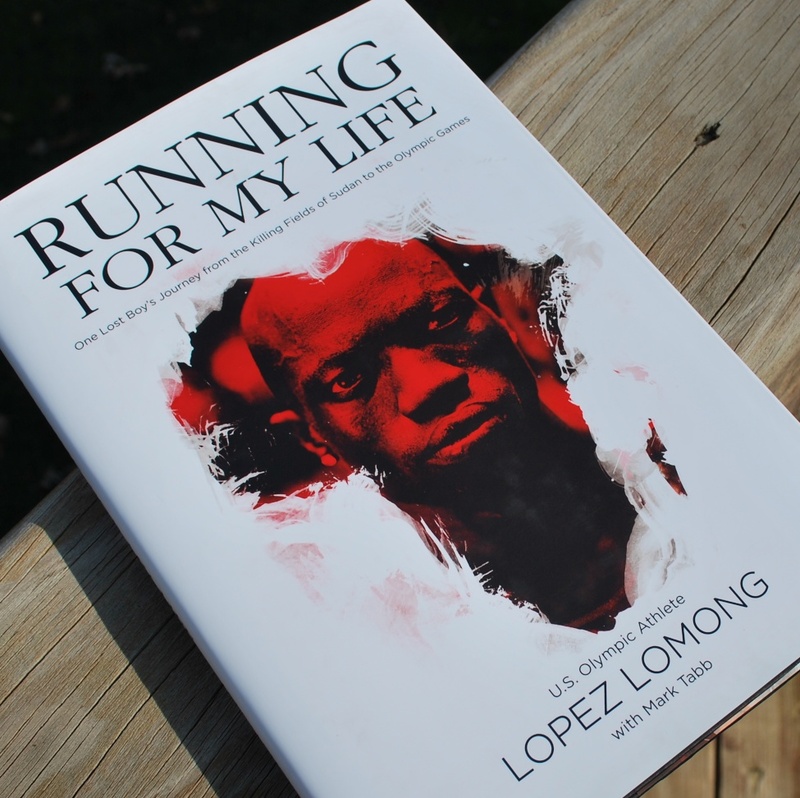 I don’t want to give too much of the book away, but while running saved Lomong’s life in many ways, the act of writing also changed Lomong’s life and was instrumental in bringing him to America. To say that his writing this book will change lives isn’t an understatement. Lomong has teamed with World Vision to help create significant and meaningful change in the lives of the boys and girls living in South Sudan. I hope you’ll take some time to learn more about the foundation he has created: 4 South Sudan. We are so blessed here in America, and when heroes like Lomong inspire us, I believe we have a duty to respond to his cry for help. Lomong may pursue perishable wreaths and medals in the Olympic games, but he also runs for an imperishable wreath. He runs to proclaim his faith to all who are drawn to him because of his gift. And in his life’s work away from the track, Lomong will bring hope and a better life to others left behind, but not forgotten. 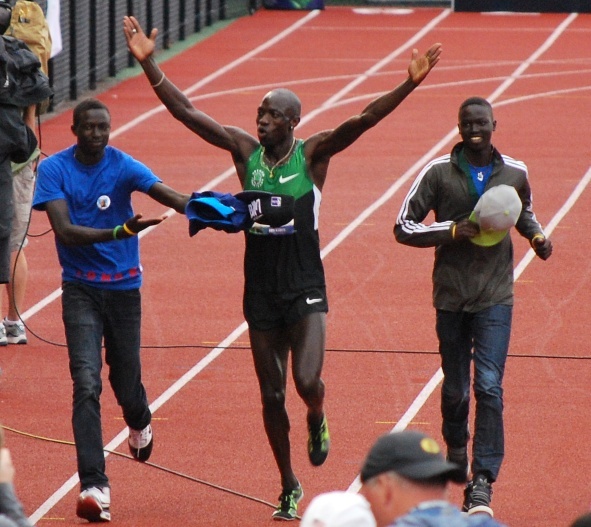 I’ll leave you with a few more of my favorite photos of Lomong from this past summer’s Olympic trials. 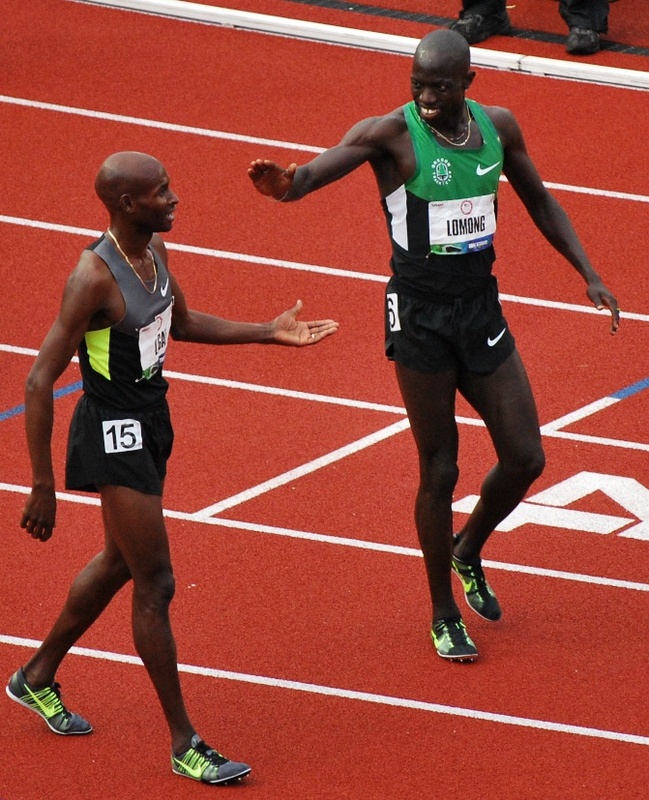 Bernard Lagat and Lopez Lomong (r) congratulate each other after earning a place on the men’s 5,000 meter team. 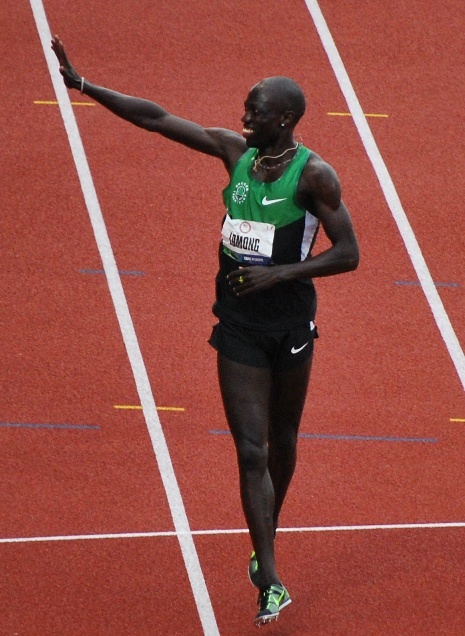 Lomong celebrates making the 2012 Olympic Team with a victory lap at Hayward Field. I *think* the two young men with him are his brothers Peter and Alex. 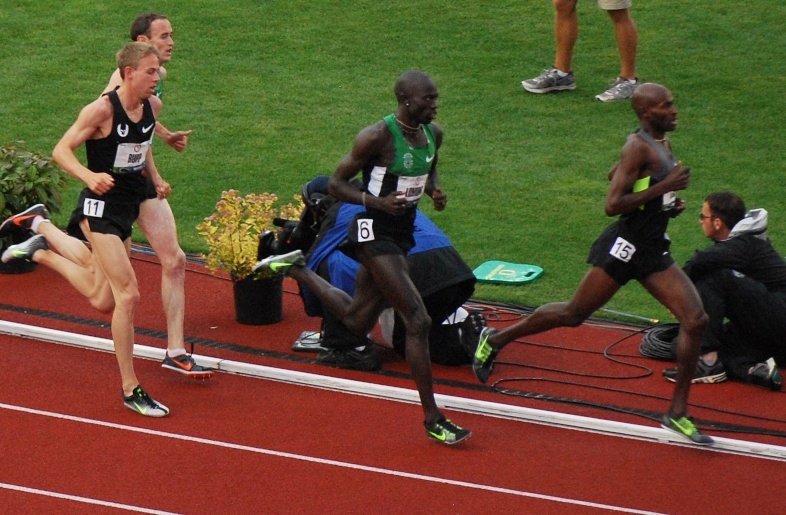 This entry was posted in flourishing tree and tagged American Dream, books, Christianity, faith, Heroes, Lopez Lomong, Lost Boys of Sudan, Olympics, running, Running for My Life, Track & Field, trees, US Olympian by hopesquires. Bookmark the permalink. What an inspiration! Thanks for sharing this story, Hope! Tracey — thanks so much for your feedback. I know you love to read inspiring books, and I hope you’ll let me know what you think of Lomong’s book.